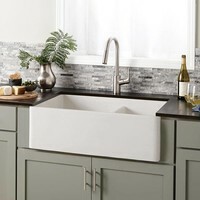 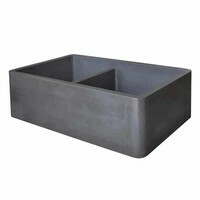 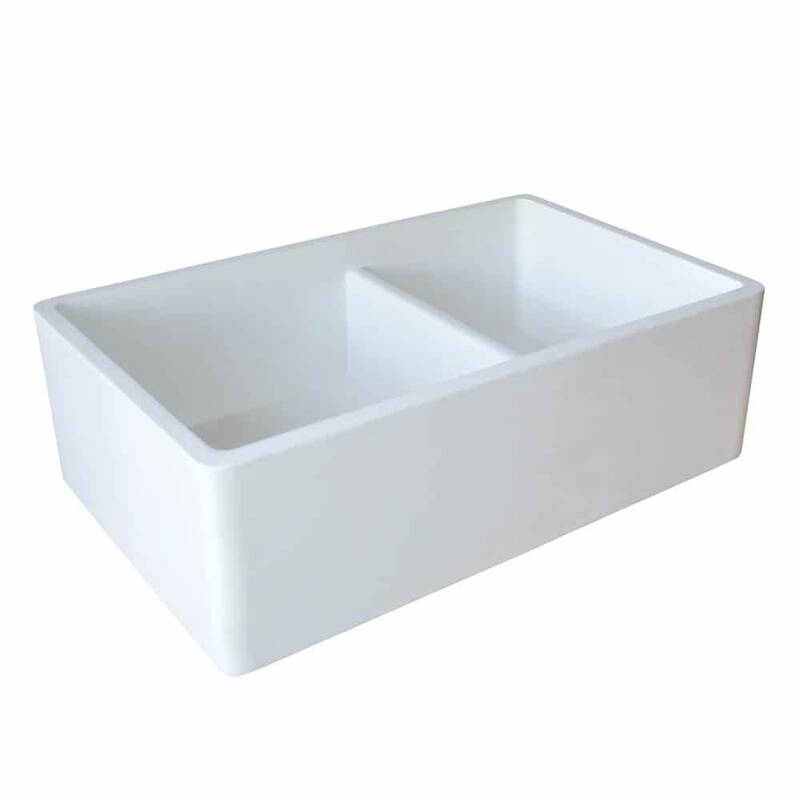 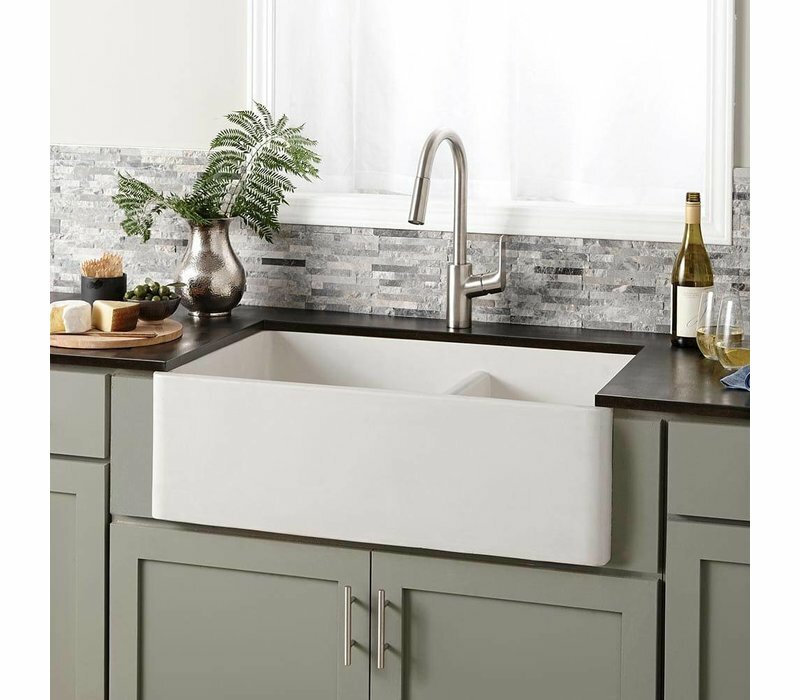 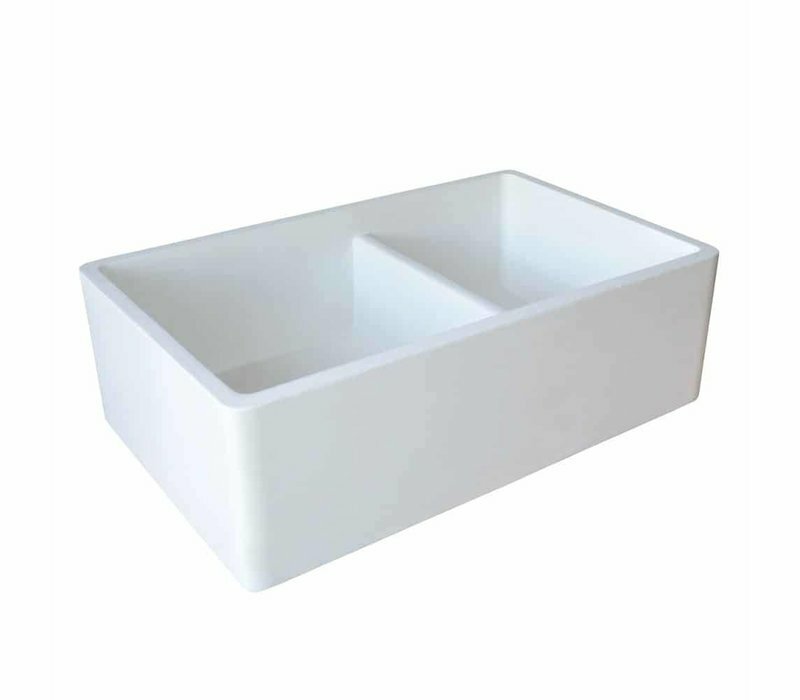 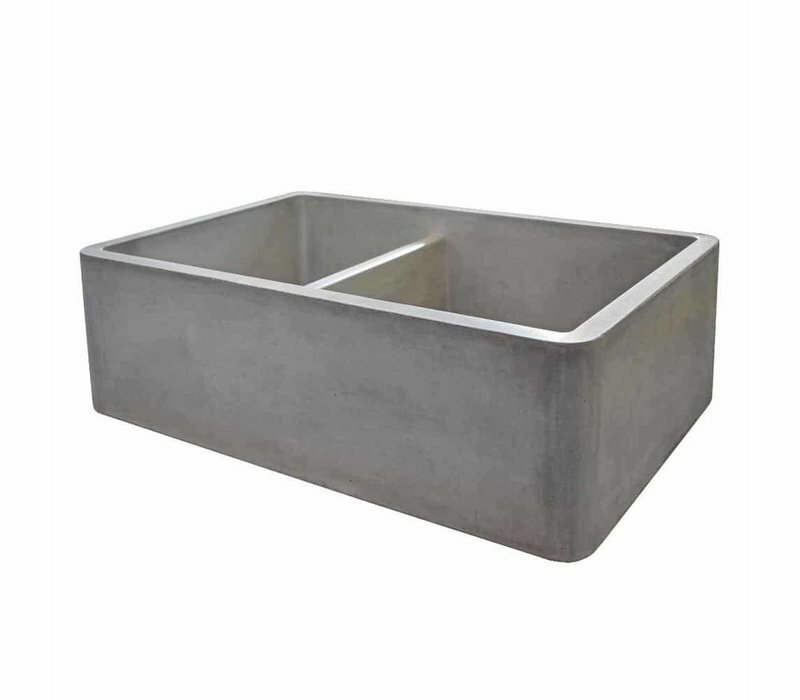 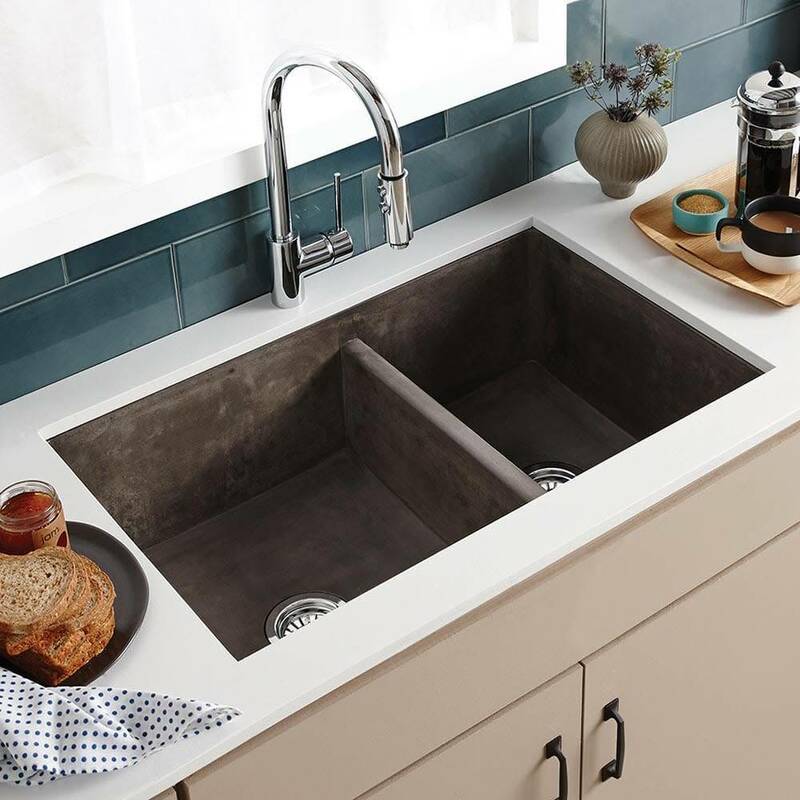 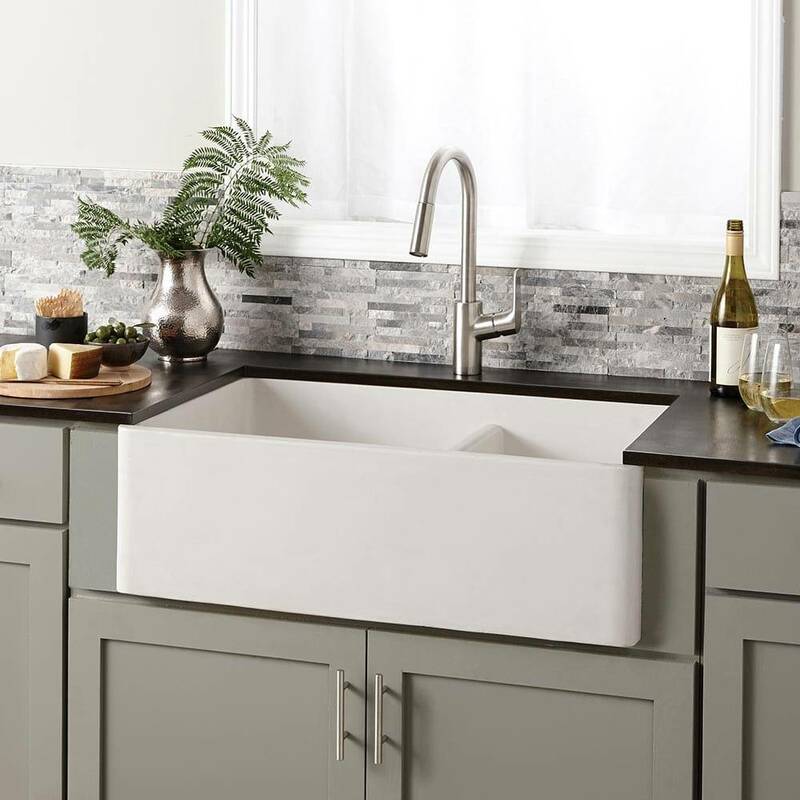 This concrete farmhouse sink not only looks good but is also hard-working, with two deep bowls and simple maintenance. 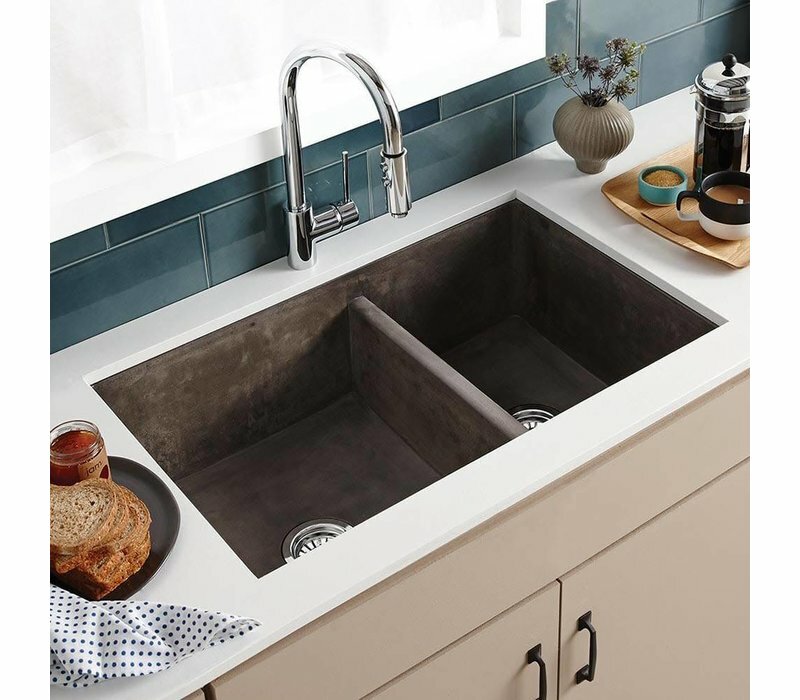 And versatile to boot! Install as apron front or standard undermount.